Investors, institutions, portfolio managers and central banks are increasingly turning to gold to diversify portfolios, protect against inflation and safeguard their wealth. They are seeking the wealth-preserving attributes of gold as they look to diversify out of fiat (paper) currencies in order to maintain their purchasing power. This is not a new phenomenon; gold has been used for money and wealth preservation for thousands of years. A word of advice is in order, however. Not all “gold” is created equal. In an attempt to safeguard their wealth, investors may unwittingly purchase a fractional-based investment, a gold-price-tracking vehicle, or simply a liability of the issuer. In the early 1960s there was a fraud in the United Kingdom in which a promoter offered investors an opportunity to own a sow for future consumption. As evidence of owning your very own sow, investors were given a certificate with a serial number; the same number was imprinted in the sow’s ear. This was supposed to prove clear ownership and title to a sow. For a few years this sow investment scheme ran smoothly, until an accountant decided to visit the farm to ensure the sows existed. Upon arriving at the farm he saw that the sows did indeed exist. But to his horror, each sow had 10 different serial numbers imprinted on each ear. Each sow had been sold 20 times over. You have clear title to the individual bars. What is remarkable is that everyone performs these prudent and rational steps when purchasing homes, land, automobiles and boats, yet the same precautions are not taken when buying “real” assets such as gold. Many investors tend to focus on the lowest costs and low or nonexistent storage fees. 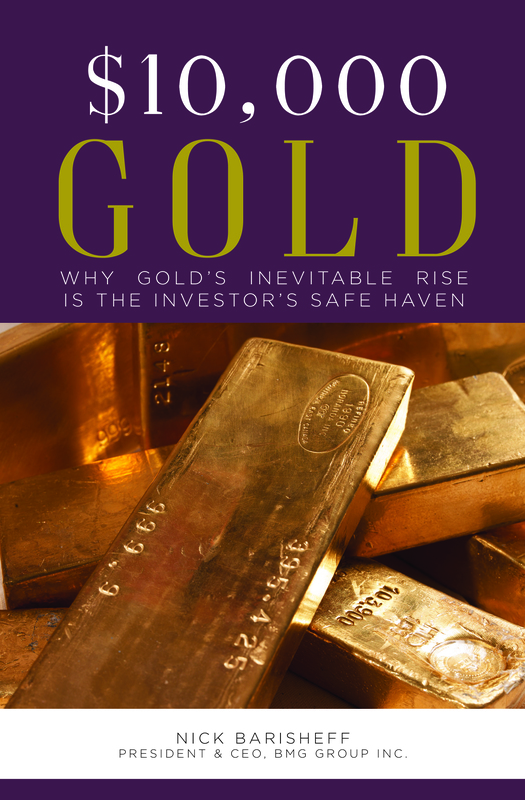 Just as the accountant discovered that investors actually owned one-twentieth of a sow, investors who think they have a portfolio allocation to gold may discover that there is no gold; it is partially backed by gold; it is leased out to third parties; or it is backed by an unsecured promise of gold. Are you buying precious metals as a short-term speculation, or do you want to preserve your wealth over the long term? Are you seeking to fully diversify your portfolio due to the negative correlation to traditional assets that precious metals provide? Are you trying to protect your wealth from a financial crisis? 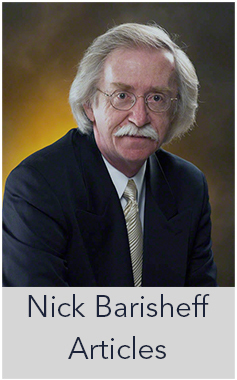 Most importantly, do you want to own physical bullion or own a derivative or paper proxy for bullion? The Precious Metals Pyramid illustrates the various ways to purchase gold and gold companies. At the top are the riskiest and most illiquid: options, futures and junior mining companies. 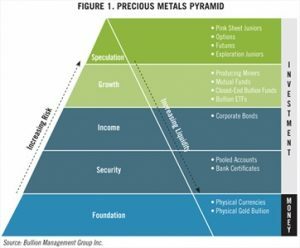 As you make your way down the pyramid, safety and liquidity increases, with physical bullion stored on an allocated basis being the safest and most liquid form of bullion available. 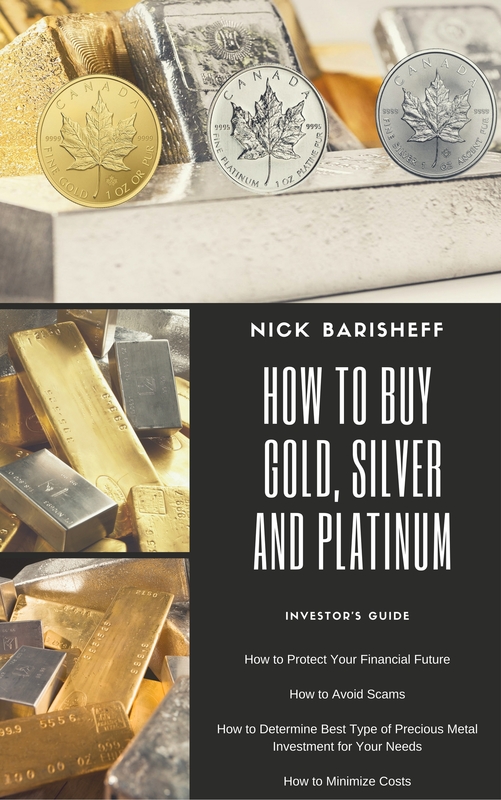 If, ultimately, you want to “own” bullion, there is no substitute for physical bullion purchased outright and held on an allocated basis. For investors who do not care if they own bullion, and simply want to track the price, then futures contracts and options, certificates, pooled accounts, exchange-traded funds or mining stocks are available. All these derivatives of owning gold bullion serve the purpose of tracking the price of gold for trading purposes. Investors may not appreciate that unless they purchase physical bullion. Many of the wealth preservation advantages offered by precious metals ownership may not be there at precisely the time when they are needed most. Consider it as insurance. You don’t trade your insurance policy, and most importantly you don’t sell it when you are in the eye of a storm. When considering wealth preservation, owning physical bullion bars is by far the best method of achieving this goal. In order for bullion bars to be liquid, they must meet “Good Delivery Standards.” The London Bullion Market Association (LBMA) and the COMEX, a division of the New York Mercantile Exchange, set certain good delivery specifications for gold, silver and platinum. Unless bars meet those standards, they will very likely need to be re-assayed (or qualitatively and quantitatively re-evaluated) when they are sold unless the dealer supplies a repurchase guarantee, incurring additional costs and delays before the owner receives the net proceeds from a sale. Furthermore, to ensure liquidity, the bullion must stay within the LBMA system; leaving this system means the integrity of the bars must be verified before resale, thus lowering liquidity. The terms “unallocated bullion storage” and “allocated bullion storage” indicate whether an investor owns bullion outright, or merely has a claim on bullion. The following table (on the next page) describes the characteristics of each method of bullion ownership. Many precious metals are traded as precious metals proxies in the form of pooled accounts or certificates, and are held in unallocated storage accounts. These proxies are the cheapest and most convenient method available for dealing with short-term holdings, and for trading. However, there are disadvantages to this kind of storage. These accounts are unsuitable for long-term wealth preservation because clients do not actually own any bullion, but rather hold a promise from the issuer to deliver bullion, or settle at prevailing future prices. Bullion held in this manner forms part of the working capital of the financial institution, in the same way as traditional cash accounts. Yet, holders of bullion in unallocated storage are not protected by depositor insurance in the same way that cash account holders are. The consequence is this—these accounts undermine the safety that bullion ownership provides, and rely on the financial strength of the financial system even more than cash accounts. There is no regulatory requirement for these accounts to be fully backed by physical metal. Often the bank or dealer will hedge their exposure by buying futures contracts during rising markets, and close out the positions during falling markets. Loans, options, swaps and leases are other mechanisms that can be used to cover these positions. As a result, investors with precious metals in unallocated storage take the risk that it may be leased out without their knowledge or consent, or that the bullion may not be there at all. Precious metals held in unallocated storage accounts do not entitle the holder to specific bars, and the holder only ranks as an unsecured creditor of the dealer or bank in the event of an insolvency or bankruptcy. All of this results in storage fees that are much lower than for allocated storage. Investors should be wary of unusually low storage fees, as this is often a sign of unallocated storage. If no storage is charged, it often means all that is held are paper certificates or promissory notes. For true portfolio protection, and the comfort of knowing they have full ownership of their bullion, investors should insist on allocated storage. Allocated storage refers to supervised, secure storage arrangements for owners who have full legal ownership of specific bullion bars. In order to prove ownership of specific bullion bars, investors must have title documentation that identifies each bar by refiner, exact weight, fineness and serial number. Without this title documentation, bars are considered unallocated and legally form part of the assets of the dealer or bank. Investors, therefore, should insist on this information when purchasing bullion to ensure their bars are allocated. Allocated bars may not be lent into the market as part of the custodian’s general pool of metal. Also, allocated bars are not subject to any third-party claims of the custodian or bank, and they do not form part of the custodian’s assets in the event of bankruptcy or insolvency. Bars held under an allocated and insured custodial storage arrangement are neither the property of nor the liability of the bank or dealer. Custodial agreements must be in writing, executed by both the custodian and the owner, and must set out all of the terms of the agreement including storage fees, insurance and specifically identifying each bar. Custodial storage requires payment for both storage and insurance—sometimes in advance. The payment of storage and insurance is an important fact of the custodial relationship. In the event of bankruptcy, it will help convince the trustee in bankruptcy that the bullion was not transferred to the custodian. Adequate insurance coverage is important, since the bullion is the property of the owner and not the custodian—and unless the custodian was negligent—the owner could suffer a loss in the case of theft. There is an abundance of information to consider when purchasing precious metals. Investors need to exercise caution when choosing what type of bullion to own, which is right for them and seek the advice of a qualified investment advisor. Obtaining wealth preservation and portfolio protection through the safe haven attributes of gold, silver and platinum is a smart decision on the part of investors. Physical bullion with allocated storage will ensure the precious metals are there when needed most. No regulatory requirement for these accounts to be fully backed by physical metal. Investors hold a promise from the issuer. Supervised, secure storage arrangements for owners who have full legal ownership of specific bullion bars. Bullion held in this manner forms part of the working capital of the financial institution in the same way as traditional cash accounts. Holders are not protected by depositor insurance, as are cash accounts. Holder has the documentation that identifies each bar by refiner, exact weight, fineness and serial number. Holders are dependent on the solvency of the institution. In the event of default, any metals held by the bank are provided to those creditors with first priority. Bars may not be sent into the market as part of the custodian’s general pool of metal. Also, allocated bars are not subject to any third-party claims of the custodian bank, and they do not form part of the custodian’s assets in the event of bankruptcy. Holders are not entitled to specific bars, and are only ranked as unsecured creditors of the dealer or bank in the event of an insolvency or bankruptcy. Bullion is neither the property of, nor the liability of, the bank or dealer. Custodial agreements must be in writing, executed by both the custodian and the owner, and must set out all of the terms of the agreement, including storage, fees and insurance and specifically identifying each bar.